Maintains lush growth of the water plants. Accentuates the brilliance of leaves colour. Provides to the plants the vital micro-nutrients and the chelated iron, essential for the chlorophyll synthesis. Does not contain phosphates and nitrates, already abundant in the aquarium, thus limiting the algal growth. Enriched with iodine and vitamins, which are essential for plant and animal life. Its effectiveness is enhanced by the presence of natural growth stimulants. 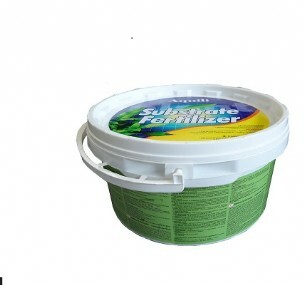 Also available in the special 2000 ml package suitable for owners of large aquariums and aquariums with many plants. The product is supplied with a dispenser and each dose is sufficient for 20 liters of water; to be administered every 15 days. It nourishes the roots and improves their engraftment. Promotes the growth of plants, making them healthy and lush. Initial dose: 1 tablet per 20 liters of water. Maintenance dose and partial changes: 1 tablet per 40 liters of water. Break the tablets and insert them directly into the substrate, near the roots. Substrate Fertilizer is a complete fertilizer that provides all the essential minerals and substances required for a luxuriant growth of aquarium plants. • Mineral Base extra-slow release - rich in minerals and good as plant roots support. • Akadama (Earth allophones) - mineral base slow release, it maintains soft and porous the substrate thus ensuring ideal roots oxygenation. • NPK tablets – during the first period, into the aquarium, there are no fish and food which provide basic nutrients for plants; NPK tablets ensure a planned and gradual release, over 15 to 20 days, of Azote-Phosphorus-Potassium (low dose helps plants without creating problems to the aquarium). NPK tablets can be used whenever there is a real need, namely in cases of obvious lack of NPK. • Fixing Mineral Base - this material, thanks to its special characteristics, interacts with azote and phosphorus in the substrate (and aquarium) blocking them, creating a reserve always available for plant roots. The fixing basis also improves the general aquarium conditions by removing azote and phosphate from the water. This mineral base is very porous too and helps not to compact the substrate, keeping it soft and airy. 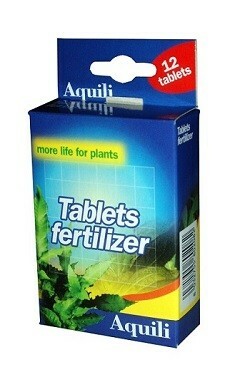 A Substrate Fertilizer 2 liter pack is the right quantity for aquariums from 50 to 60 litres. 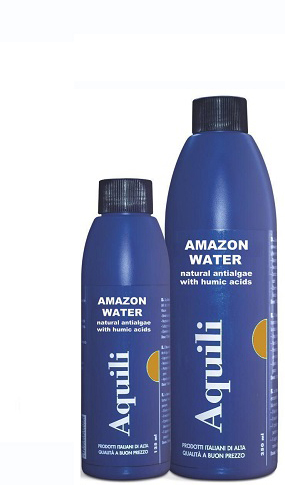 Thanks to its unique composition AntiAlgae eliminates algae quickly and efficiently. It inhibits the growth of every kind of algae and without damaging plants. Recommended dose: 10ml (1/2 cap) for each 40 liters. Before and after treatment, physically remove dead algae as it is quite harmful. Ensure that the water has the highest oxygen level possible. 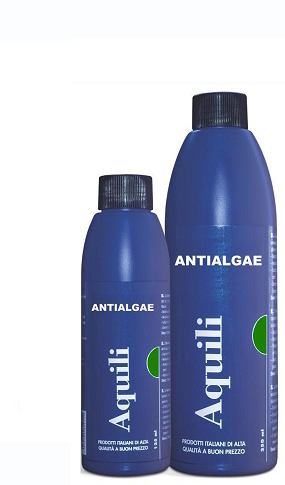 Based on the type of algae and the composition of the water, AntiAlgae will have maximum effect after 1-6 weeks. Repeat treatment after 10 days if the algae problem is very serious. Natural peat with acid pH. Creates a natural environment of rainforest water in your tank. Amazon Water produces an amber-coloured water (with lower light) with acid pH, providing natural control of clarity and turbidity. It effectively fights the growth of all algae, including those unicellular. They supplement normal nourishment to ensure vigorous and luxuriant plant life. With regular use, they effectively replace any systems in small aquariums using tanks or reagents. 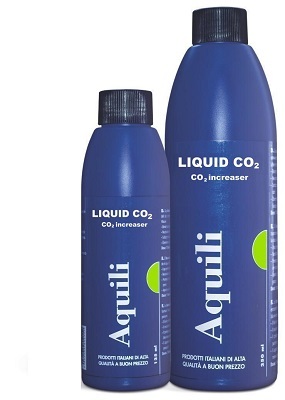 To determine correct use (quantity and frequency) the CO2 Test Aquili must be placed in the aquarium. 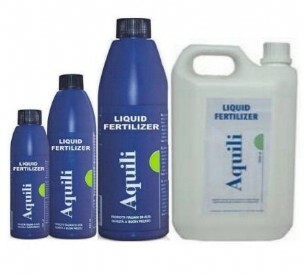 Liquid CO2 is a fertiliser that helps to grow strong and lush plants that can compete against algae, and producing conditions to deter growth of undesirable plant-life. 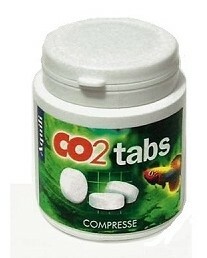 CO2 is released slowly over 12-18 hours, so product should be used daily. Liquid CO2 decomposes every hour, so there is no danger of bio accumulation in plants, animals or environment. Recommended dose: 1 ml per 50 liters of water once a day; better in the morning. Maximum dose: is 2 ml for 50 l of water.